If you're an extensive user, your Samsung Galaxy S4 may overheat anytime. One of the reasons why is that the phone is way too powerful for its size. Components were placed so close to each other making them emit more heat the longer you use it. While Samsung always had good intentions when it started building the phone and put a lot of features in it, by default the phone is destined to overheat. What I mean is that, without changing any of the original settings, the phone will overheat when used extensively for hours. That said, it is clear that the logic in preventing the Galaxy S4 from overheating is to give it a break after an hour or two of extensive use; minimize the use of battery and to do that, CPU use should also be minimized. 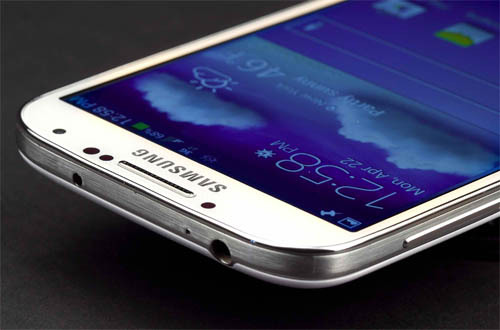 Now, here are the things you should do to prevent Samsung Galaxy S4 from overheating. 1. Give it a break. When used for heavy gaming, the phone emits more heat that it normally does. New games demand high CPU usage that will also demand high battery use to power up the phone's Super AMOLED display and its graphics processing unit. If you feel the phone is getting hotter in your grip, let it rest for 30 minutes or an hour or until it cools down completely. 2. Don't game while charging. If you're a gamer and in the middle of something exciting, it's a bugger when the phone goes low-bat. The tendency is you plug in the charger and continue gaming. That's a big NO-NO for the Galaxy S4 as the charger unit adds up more heat to the already hot battery, screen, CPU and GPU. 3. Adjust screen brightness. GS4's screen is one of its components that eat up more battery so it is logical it also generates heat. Naturally, the Super AMOLED screen is brighter than any other technologies and when it is in its full brightness, your eyes would hurt sometimes. It is recommended you adjust the brightness to a lower level or use the auto-brightness feature. You should also know that the CPU, GPU and the battery are directly behind the display. 4. Close apps running in the background. One of the ways to minimize the use of CPU is by closing or stopping apps running in the background. They eat up both battery and memory even if they were not used. Long press the Home button and you would see the most recent apps; close each of the app you can find there. You will also need to go to Applications Manager, tap on Running tab and find apps you were not using and Force Stop them. It's basically just common sense. A device as powerful as the Galaxy S4 overheats when used for hours. An hour or two of rest would cool it down so give it that.